What’s happening at Friends of the Kaw? * SAVE THE DATE! The yearly Catfish Fry is being combined with the Annual Dinner and this year’s big event will be Thursday, September 24 at Abe & Jake’s Landing in Lawrence, Kansas. Food provided by Terrebonne! Stay tuned…we will send out a special announcement when tickets are on sale and we hope to see you there! * The Great Kaw Adventure Race on Saturday, September 26, 2015! This is a new race that has been developed by the City of Eudora and the City of DeSoto to highlight their communities and the beautiful Kansas River! Friends of the Kaw is a sponsor of the event and a beneficiary as well. This year we need to provide 10 volunteers – 5 at the boat ramp to help unload and load boats and equipment; 5 volunteers to be on the water in a kayak to offer assistance as needed. If you can volunteer, please contact your Riverkeeper! * The Corps of Engineers is still accepting written comment on the Environmental Impact Statement through September 15! Here is the float list – RSVP to the Riverkeeper! Saturday, September 12 – Haskell and UMKC Science Class Floats – Eudora to DeSoto. Contact Dawn to inquire about available boat rentals for this float after September 4 or for more information. Sunday, September 13 – Cleanup Float – Cedar Creek to Edwardsville, 1:00 pm to 7:00 pm. We will provide 5 canoes and 5 double kayaks at no cost on a first come first serve basis but participants MUST RSVP with Dawn or at 785 312 7200. This is an activity of our Mid American Regional Council Grant. 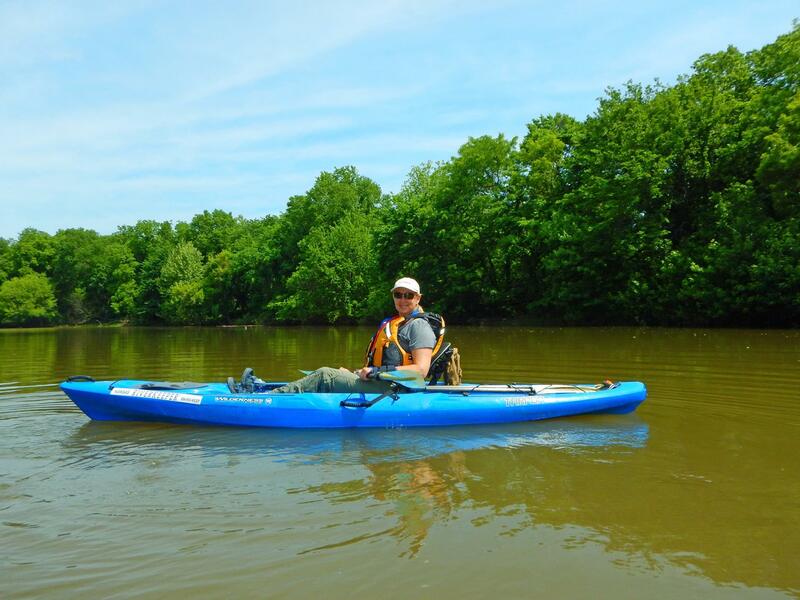 Saturday, September 19 – Float with the Kansas Master Naturalist from DeSoto to Cedar Creek, 8:00 am to 12:00 pm. Contact Dawn to inquire about available boat rentals for this float after September 4 or for more information. Sunday, September 20 – Kansas Women’s Environmental Network Float from Lecompton to Lawrence from 11:00 pm to 5:00 pm. Contact Dawn to inquire about available boat rentals for this float after September 4 or for more information. Saturday, September 26 – The Kaw Adventure Race from Eudora to DeSoto. Volunteers Needed! Stay tuned for details and contact Dawn if you can help! Sunday, September 27 – Cleanup Float – Turner to Kaw Point, 1:00 pm to 7:00 pm. We will provide 5 canoes and 5 double kayaks at no cost on a first come first serve basis but participants MUST RSVP with Dawn or at 785 312 7200. This is an activity of our Unified Government of Wyandotte County Grant. This float is full! Tuesday, September 29 – Kansas Dept. of Wildlife Parks & Tourism Float from Manhattan to St. George from 8:30 am to 1:00 pm. Contact Dawn to inquire about available boat rentals for this float after September 20 or for more information. Sunday, October 4 – Cleanup Float – Edwardsville to Turner, 1:00 pm to 7:00 pm. We will provide 5 canoes and 5 double kayaks at no cost on a first come first serve basis but participants MUST RSVP with Dawn or at 785 312 7200. This is an activity of our Unified Goverment Stormwater Education Grant. Saturday, October 10 – Topeka Sierra Club Float – Wamego to Belvue, 10:00 am to 4:00 pm. Contact Dawn to inquire about available boat rentals for this float after October 1 or for more information. Sunday, October 11 – Shawnee Mission Unitarian Fellowship Float from DeSoto to Cedar Creek from 1:oo pm to 5:00 pm. Contact Dawn to inquire about available boat rentals for this float after October 1 or for more information. Saturday, October 17 – Lawrence High and Free State High Science Class Float from DeSoto to Cedar Creek from 10:00 am to 2:00 pm. Contact Dawn to inquire about available boat rentals for this float after October 7 or for more information. Sunday, October 18- Mission Community Float from DeSoto to Cedar Creek, 1:00 pm to 5:00 pm . Contact Dawn to inquire about available boat rentals for this float after October 1 or for more information. Saturday, October 24 – Jersey Creek Tributary Cleanup, Kansas City, Kansas, 9:00 am to 2:00 pm. Stay tuned for details and contact the Riverkeeper if you can help!